AF International, leading brand manufacturer of effective cleaning solutions for the Office Products Industry have launched a range of Specialist Cleaning products for the Personal Protective Equipment sector. 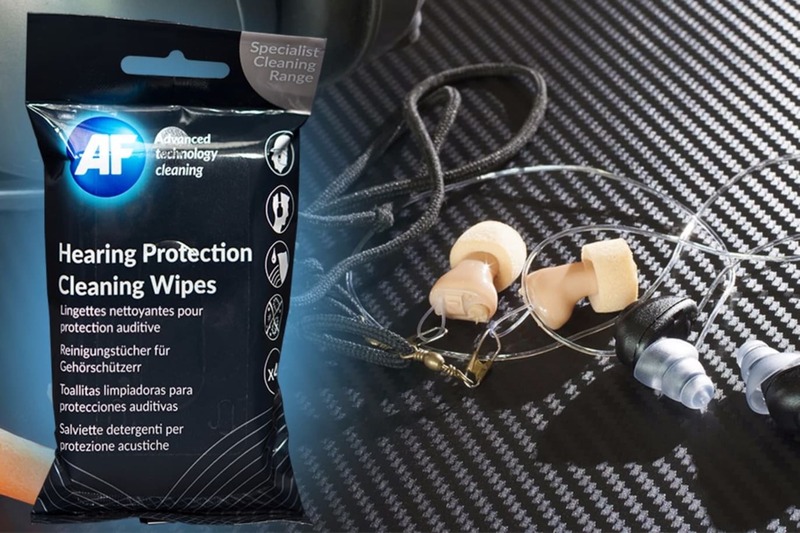 AF’s Hearing Protection Wipes, (EPC) are a soft, yet strong, impregnated cleaning wipe available in convenient re-sealable flat packs – perfect for workplace usage. Also part of this range are AF’s Safety Glasses Cleaner (SGC). These handy wipes are ideal for daily cleaning requirements and they effectively remove grease and dust from personal protective safety glasses and are ideal for regular cleaning. Safety glasses cleaning wipes are packaged in handy tubs and individual sachets.